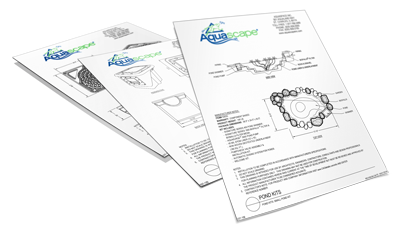 A complete solution for supplying water to run fountains, water features, external filters and spitting ornaments, Aquascape Ultra Pumps feature a three-way splitter with valve and multi-hose adapter that makes it simple to connection to almost all hose sizes. 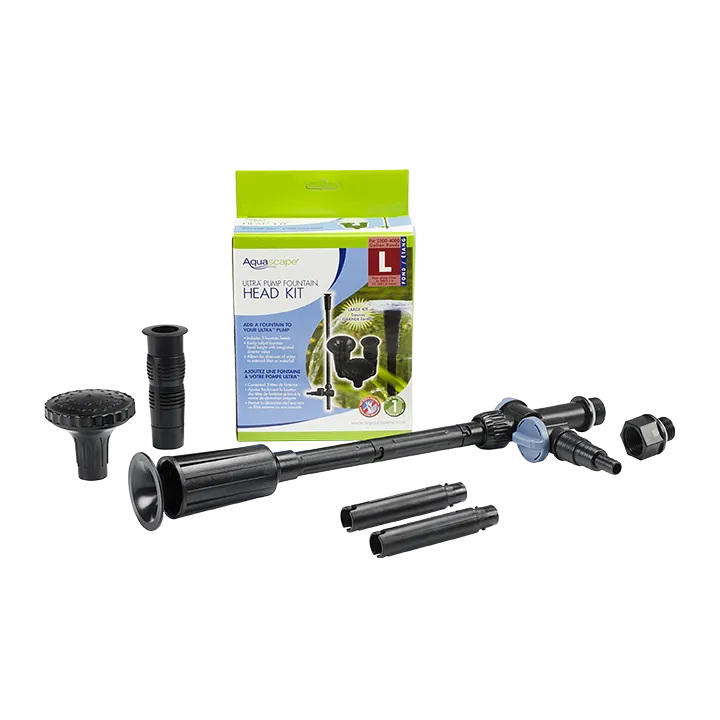 The Ultra Pump’s magnetically driven (mag drive) motor technology makes this pump extremely energy efficient — saving hundreds of dollars over traditional pumps — and the oil-free design helps prevent pond contamination. 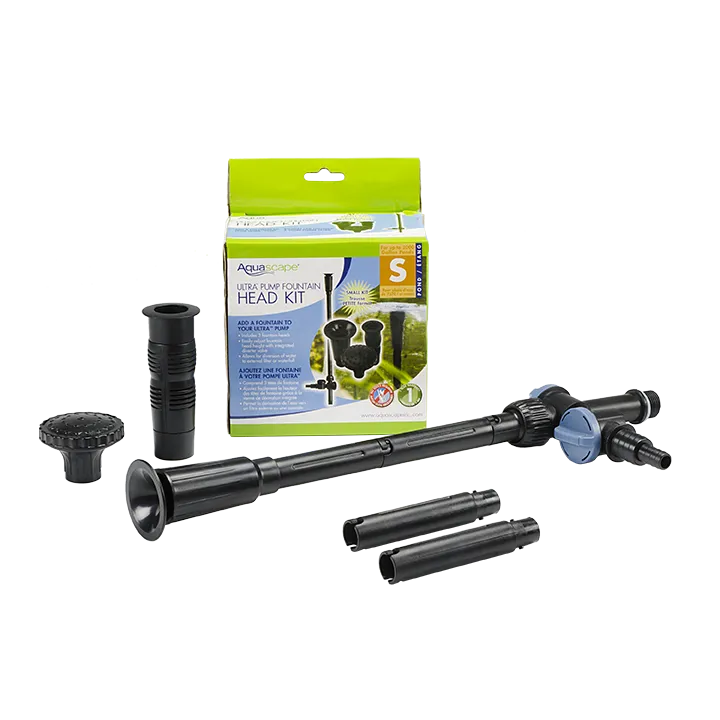 Learn the many features and benefits of Aquascape Ultra Pumps. 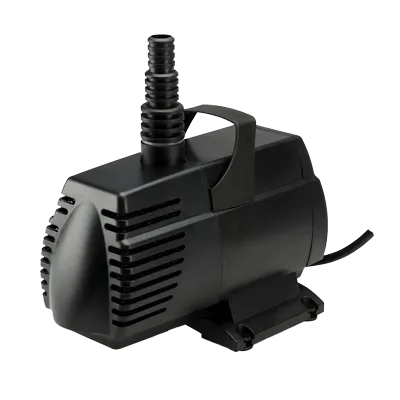 This energy-efficient pump is ideal for use with fountains, external filters, small ponds, and other various water feature applications. Protective pump input strainer cover and sponge filter prevents debris from damaging pump,thereby reducing maintenance and prolonging pump life. 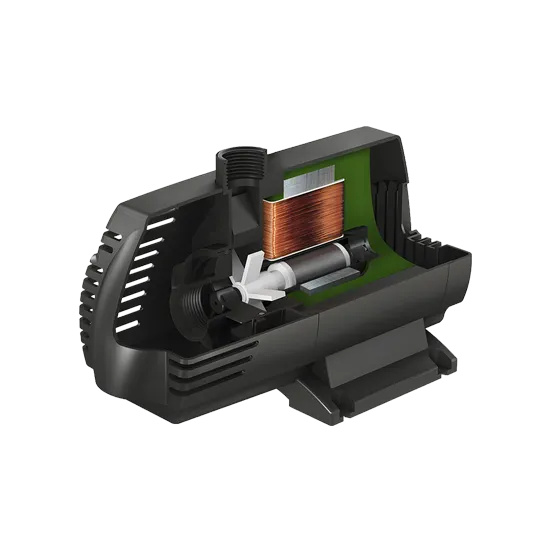 Mag-drive motor technology makes this pump energy efficient and simple to maintain. an external filter or waterfall. 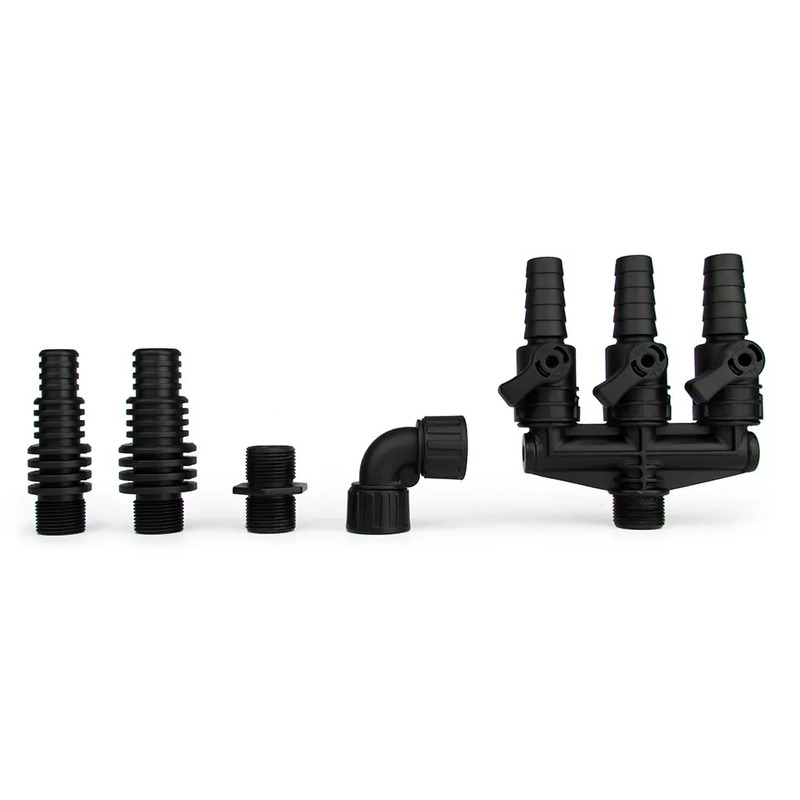 Add a fountain to your Aquascape Ultra 400, 500, or 800 Pump (2012 to present), using its ½ inch male-threaded connection. 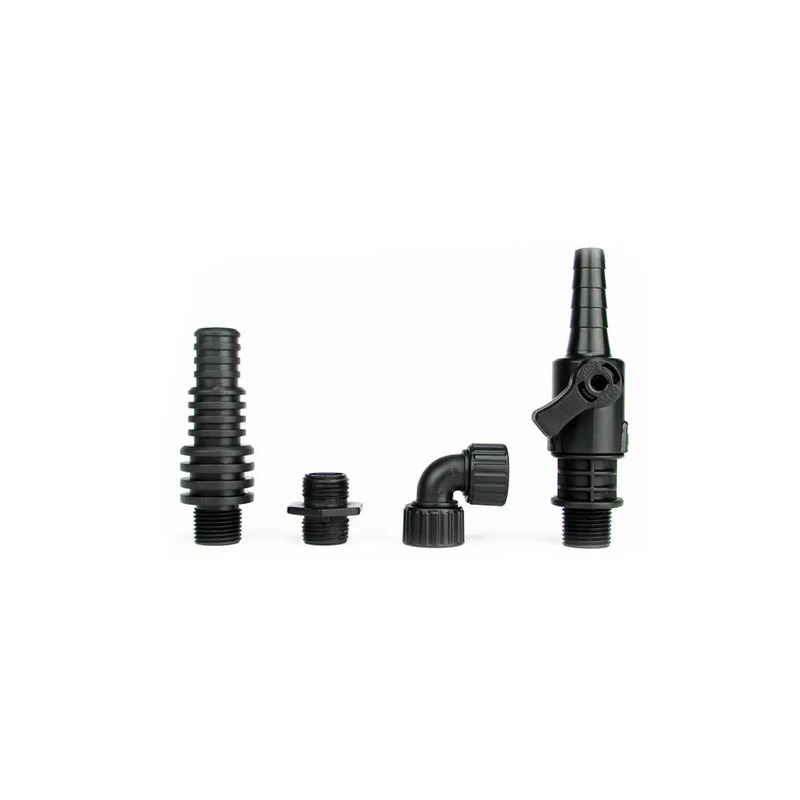 Add a fountain to your Aquascape Ultra 1100, 1500, or 2000 Pump (2012 to present), using its ¾ inch male-threaded connection. 1/2", 3/4", 1", and 1-1/4" 1/2", 3/4", 1", and 1-1/4" 1/2", 3/4", 1", and 1-1/4" 3/4", 1", and 1-1/4" 3/4", 1", and 1-1/4" 3/4", 1", and 1-1/4"